Good Mood Foods. Want Your Kids to be Happier? Eat this. Home Articles Foods that Fight Temper Tantrums. Good Mood Foods! Even though those Goldfish crackers or fruit roll-ups seem like a good snack for your kid, they may be doing more harm than good. In fact, these snacks may be negatively contributing to your child’s mood. But, did you know there are good mood foods you can give your kids? The food your child eats affects their mood. Food affects their overall happiness level and how many tantrums and emotional outbursts your child has. 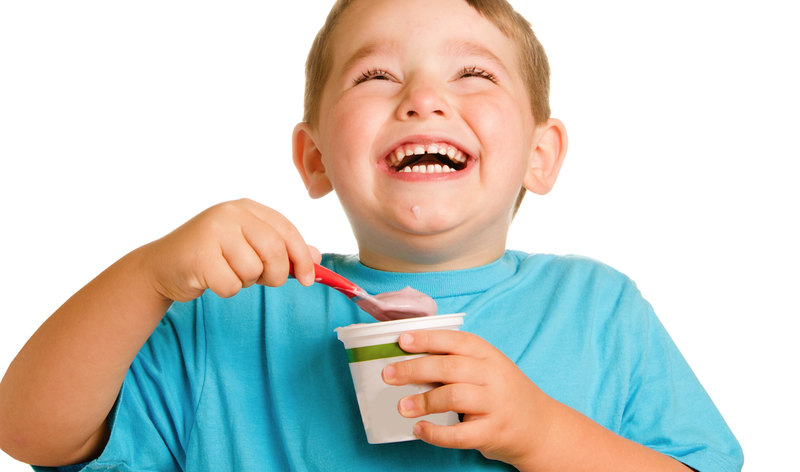 Read on to find out what foods will positively affect your child’s mood. Sugar is often the culprit in increasing tantrums, outbursts and impulse control issues with kids. Even though sugar is in almost everything processed from ketchup and yogurts to tomato sauces and breads, our bodies are not well equipped to process sugar; so we tend to react in negative ways… or over-react, for that matter. 200 years ago we ate only 2 pounds of sugar per year. Today we eat 152 pounds! Centuries ago, our source of food came from hunting and gathering with little to NO sugar entering our bodies. But in the late 1800s, England lifted its tariff on imported sugar and an influx of fructose flooded the streets. Today, sugar is found in almost everything we eat and in extreme quantities. If the food is processed, it is likely to have loads of sugar in it. If it’s labeled to be low-fat or non-fat, it has excess sugar to make up for the loss of flavor. In fact, sugar alone makes up 16% of our diet (1). According to pediatrics specialist David Ludwig, “As far as our hormones and metabolism are concerned, there’s no difference between a bowl of unsweetened corn flakes and a bowl of table sugar” (2). 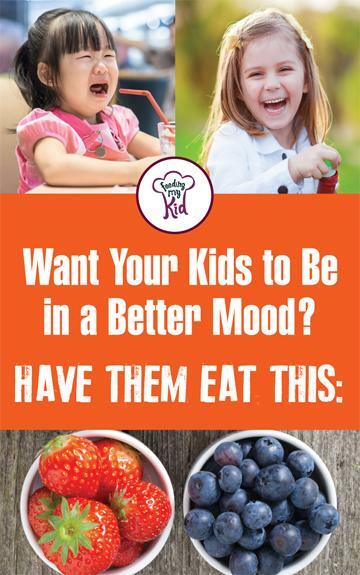 Get Your Kids Happy with Good Mood Foods! The foods that are labeled healthy can sometimes be the worst for us, such as yogurt or juice, which both have more than 2-3 times the recommended daily sugar intake. This high amount of sugar could be making our children’s moods much worse. Many foods targeted to children can actually be exacerbating your child’s temper, causing anxiety and depression. Although there is a lack of evidence pertaining to the relationship between sugar and hyperactivity in children, there are significant studies that state sugar influences behavior and adrenaline (3). A heaping helping of simple sugar (found in sodas, candies, table sugar and packaged treats) can increase insulin and depresses the immune system; not to mention it holds no nutritional value. A child’s attention span, learning ability and behavioral response can be affected by consuming too many sources of simple sugars. Unlike simple sugars, complex sugars are found in natural fruits, grains, and vegetables. Complex sugars actually positively affect cognitive performance. Check out the list below of what foods to have your kids eat more of to enhance their mood. Also, find out what food to avoid to reduce tantrums and emotional outbursts! Recent research states that the neurological substrates in the brain responsible for emotions “appear to be more robust than those of cocaine” (4). In layman’s terms, sugar is more addicting than drugs! In an attempt to calm down your child’s temper, don’t cave into unhealthy foods! Your little one could benefit more from healthier foods than you think. Unhealthy, processed foods are full of empty calories that can actually make your cranky child even crankier. Sure, the sugar boost might put a temporary pep in your child’s step, but what happens when that sugar rush has ended? The influence of unnatural foods causes mood swings; from an extreme high to a terrible low. They don’t call it a sugar crash for nothing! Scientific evidence has concluded that sugar is more harmful than beneficial. When it comes to looking after our loved ones, we need to be smart about how we choose to coax emotions. That’s why we’ve put together a list of good mood foods that have proven results and that are supported by pediatricians, dieticians and “mom”-icians. Here are the very best foods to fight temper tantrums and get your happy child back! What Prescriptions Can Do, Some Foods Can Do Better. Did you ever hear the old wives’ tale about “food as medicine?” Well they weren’t far off. A recent study reveals a surprising mimicry found in food and antidepressant medications. Research chemist, Karina Martinez-Mayorga, PhD., spoke before the American Chemical Society declaring that an antidepressant called valporic acid has similar chemical structures as those found in certain foods (5). Be sure to check out these articles on how to improve academic performance with superfoods and how to improve sports performance with foods. High fiber fruits are a good mood food! These fruits are full of a beneficial antioxidant known as quercetin, a powerful brain-boosting element. Although these fruits can have loads of good, complex sugar, they are low on the glycemic index; this means they won’t spike insulin levels! The natural sugars found in these fruits will not only be tasty but offer a healthy-sugar-rush of energy. 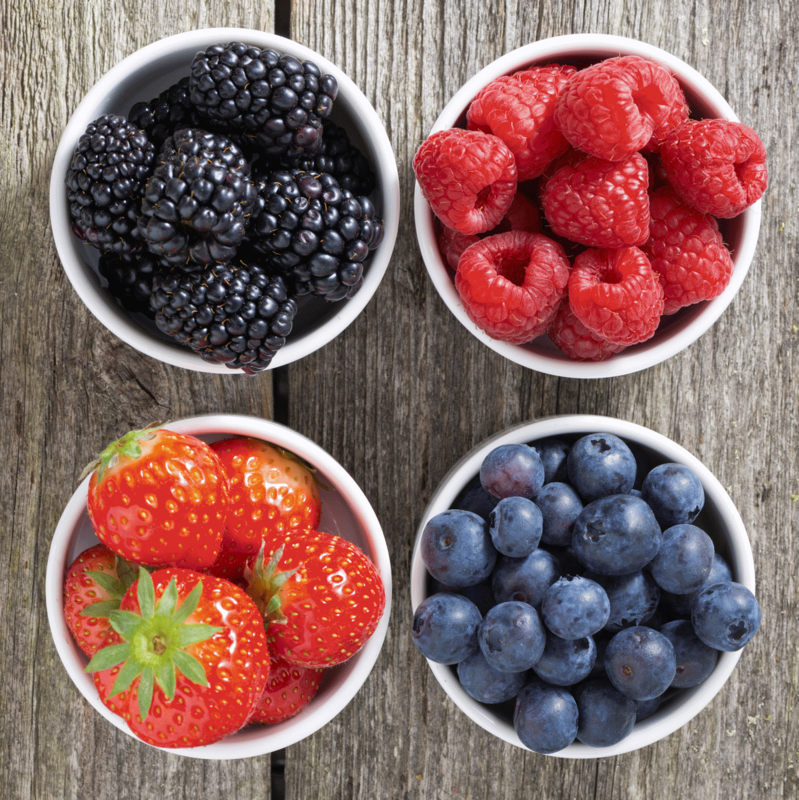 If you have to pick between fruits, go for berries. They are nutritional powerhouses. 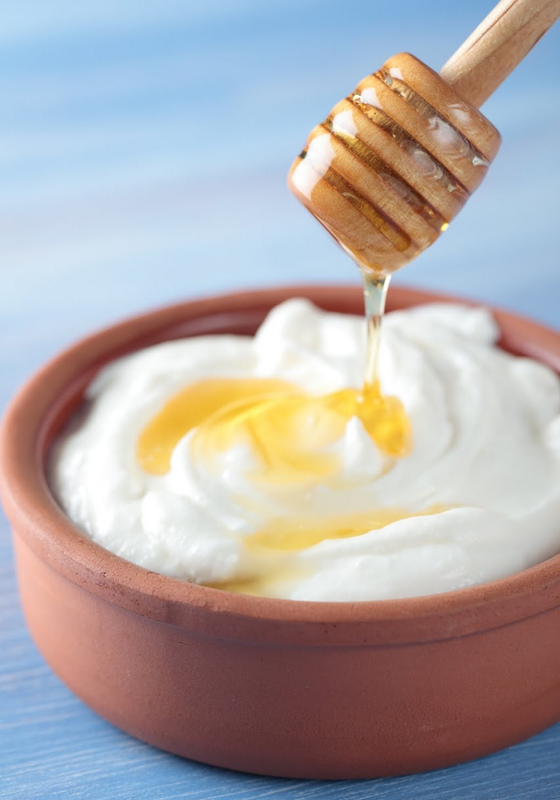 Serve a bowl of greek yogurt and see the positive effects of calcium produce better nerve function, combat antibodies and send your child off with a full belly and a big smile. Not to mention that the immense amount of protein found in greek yogurt will help restore energy and brain function! Say it with me: [cah-cow]. Not cocoa! Cacao is the rawest form of chocolate. Cocao is before the additives, sugar, and dairy that makes up the chocolate we all know so well. In fact, when heated and processed, dairy depletes many of the nutritional benefits of cocao by blocking the absorption of antioxidants (6). 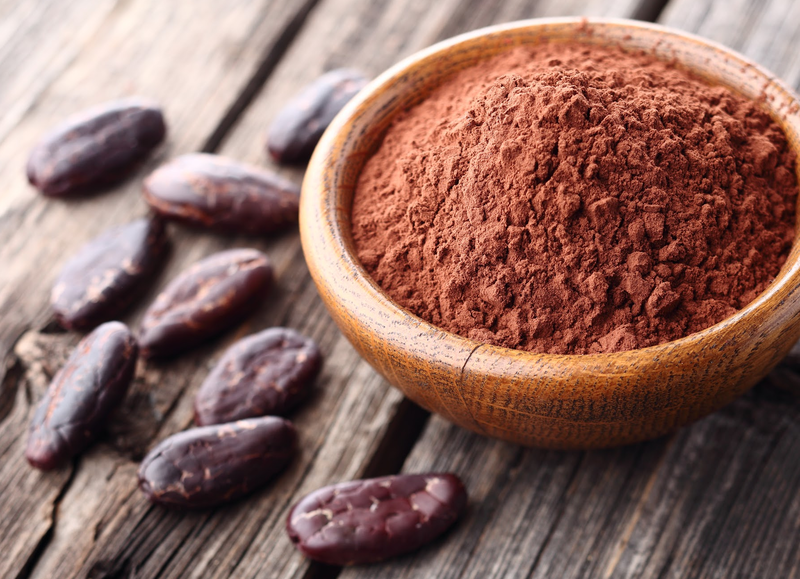 Raw cacao is high in resveratrol (like wine!) which has been known to regulate blood flow and shield nerve cells from damage. It also contains the chemical anandamide, known as the “bliss molecule.” So if your child craves a candy bar when they’re upset, don’t go for the chocolate. Go for cacao! It’s not as sweet, but you grow to appreciate it. I like to add cacao nibs to pancakes, waffles, muffins and energy balls. Oh, oats! Packed with B vitamins, magnesium, dietary fiber and zinc, oats have become a must-have in our kitchen. They have been found to reduce anxiety, suppress symptoms of depression and boost energy. 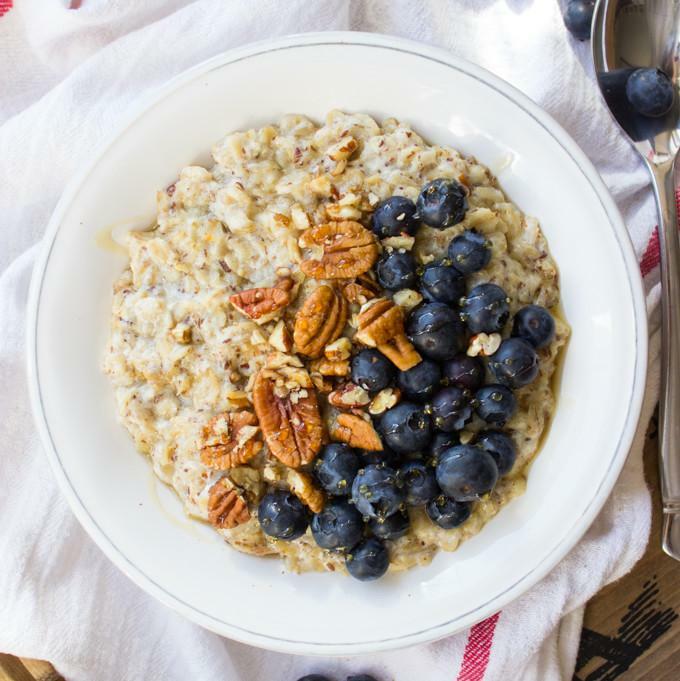 Oats don’t have to be eaten just as oatmeal! Try adding them to baked goods like muffins and bread, blend them in smoothies, ground them into flour, or soak them overnight. And if you or your child are sensitive to gluten, opt for the gluten-free version! I put a cup of old fashioned rolled oats in my food processor and make flour out of them. I then use it in my meatballs, meatloaves and other recipes that call for flour. 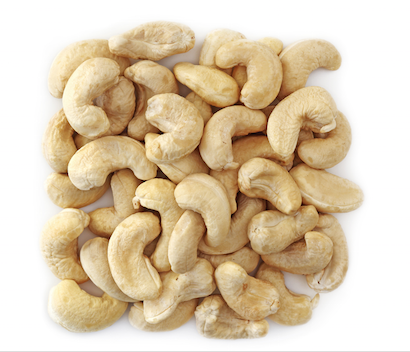 Cashews are extremely high in copper and iron, which helps to uplift fatigue (hello, energy boost!) and are loaded with healthy fats to maintain a strong heart and overall bodily function. They make a favorite mid-day snack or can be enjoyed in salads. For a peanut-free alternative, cashew nut butter makes a delectable buttery spread. Pumpkins aren’t just for carving or baking into a pie. 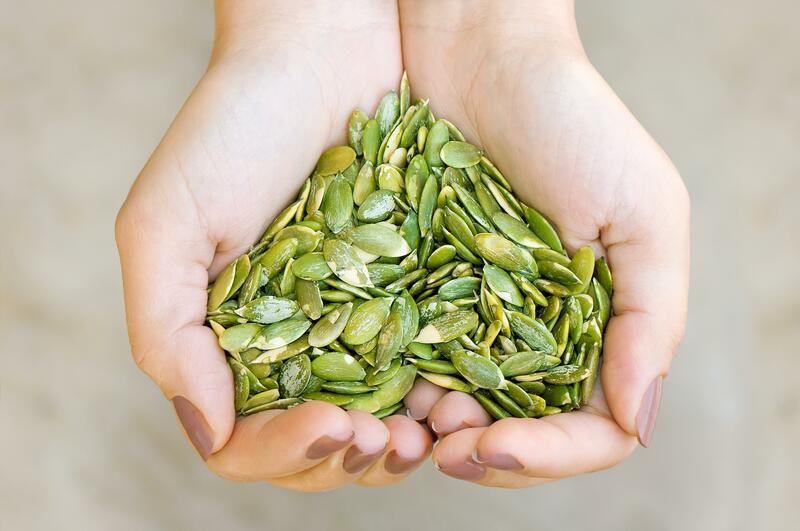 Pumpkin seeds house vital nutrients that offer great mood-boosting effects! Easily digestible with a subtle nutty flavor, pumpkin seeds make one of the best good-mood-foods to offer your little one. Pumpkin seeds help produce dopamine, the chemical in the brain responsible for giggles and happy feelings! Grab a handful or blend them into a butter and watch those weary feelings disappear. I add pumpkin seeds to salads and yogurts regularly. I also always have a bag filled with seeds or nuts in case my kids need a snack. 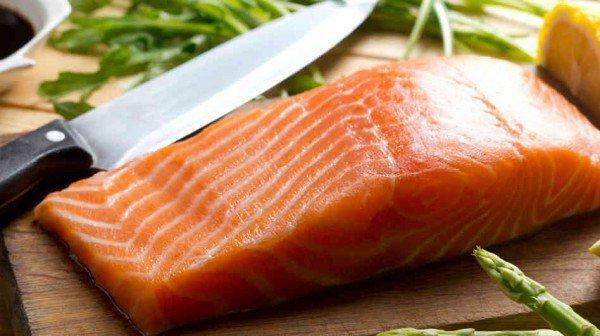 High in Omega-3s, B vitamins, protein, iodine and selenium, salmon’s benefits are boundless. Various studies conclude that salmon can help prevent ADHD in children and boost academic performance (7). So save yourself from that sunburn and opt for a serving of salmon instead! Foods can have a huge impact on our moods, our concentration and our ability to excel in sports. Surely we all just want what is best for our kids! So why not give them the right foods to positively impact their mood and make them happier? (1) Harvard Magazine: The way we eat now. (2) New Hampshire Department of Health and Human Services: How much sugar do you eat? You may be surprised! (3) Yale Scientific: Does sugar really make children hyper? (5) National Institutes of Health: Sugar addiction: pushing the drug-sugar analogy to the limit. Is your child's behavior being affected by the foods he or she eats? Go for these good mood foods: a list of top 23 foods to eat.